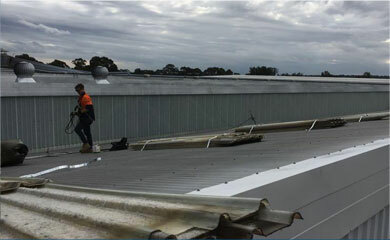 Due to the chemical environment, the metal roofs and flashings on many industrial sites that AIB attend, require regular maintenance, replacements and upgrades. AIB has extensive knowledge of the stringent WHS constraints and the in-depth Risk Analysis and Planning involved in industrial sites. This project involved 2.5km of roof sheeting and a new ventilation system.